Being physically active is good for us, we know that. And a new study from the University of British Columbia shows that the closer you live to a greenway, the more physically active you are. Being physically active is good for us, we know that. And a new study from the University of British Columbia shows that the closer you live to an urban greenway, the more physically active you are. UBC researchers surveyed people living near Vancouver's Comox-Helmcken Greenway, the year before and after its completion in 2013. The greenway is a two-kilometre pathway used by cyclists and pedestrians that extends from Stanley Park to the False Creek Seawall. Some blocks along the route permit cars. The study, conducted by The Health and Community Design Lab at the University of British Columbia, was commissioned by the City of Vancouver as a way to evaluate the construction of future greenways. The report says it's the first of its kind to show the health benefits of urban greenways for city residents. 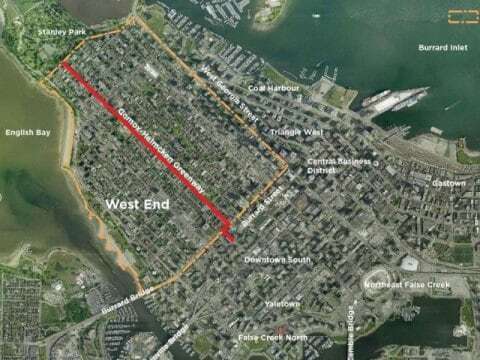 About half of the 585 participants lived within 300 metres of the greenway, and the rest were within a 500-metre radius. The research showed that residents living closest to the greenway doubled their odds of completing 20 minutes of physical activity a day, and almost halved the odds of being sedentary for nine hours a day. The report's author, Dr. Lawrence Frank, said the results show that urban infrastructure such as dedicated greenways, which promote active lifestyles, are good for overall public health. "This is what's so exciting about it," said Frank, a professor in transportation and health at UBC'S School of Population and Public Health. "We show the effects of the results are really only borne by those [living] closest to it." 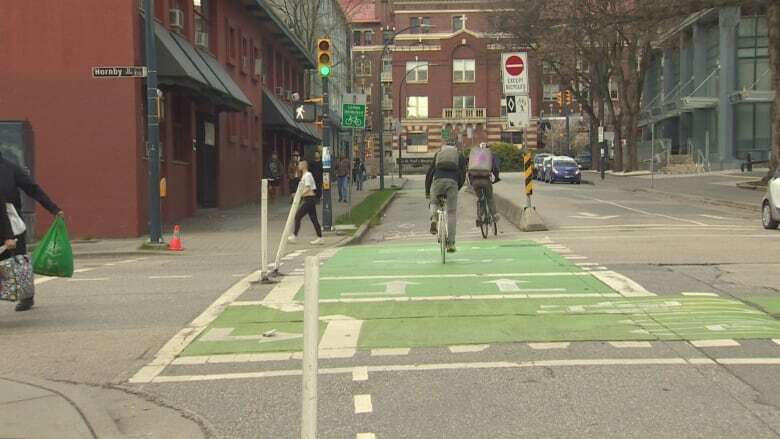 Bike to Work Week kicks off, drawing attention to cycling infrastructure across B.C. Participants in the study ranged in age from 21 to 90. They logged their activity in a travel diary and then uploaded the information onto the study's web portal. The study concludes that the money invested in urban greenways has more far-reaching outcomes than simply increasing physical activity. "Comox cost $5.5 million, yet the anticipated health care cost savings from reduced chronic disease is likely many times greater," said Frank. The City of Vancouver says it is working toward a goal of having greenway space within a 25-minute walk or a 10 minute bike ride of every residence.